For me, writing in rhyme is all about the rhythm. As a former dance major, I’m drawn to the rhythm of the words and the beat they create when they’re spoken aloud. When I first began writing in rhyme, I thought it was all about creating patterns based on the number of syllabic beats in a line, as if each syllable received the same weight. Instead, I discovered that each word has its own rhythm depending on which syllables are stressed. Writing a line creates a certain rhythm that ultimately shapes the rhythm of the stanza. Picture books contain a variety of rhythms. 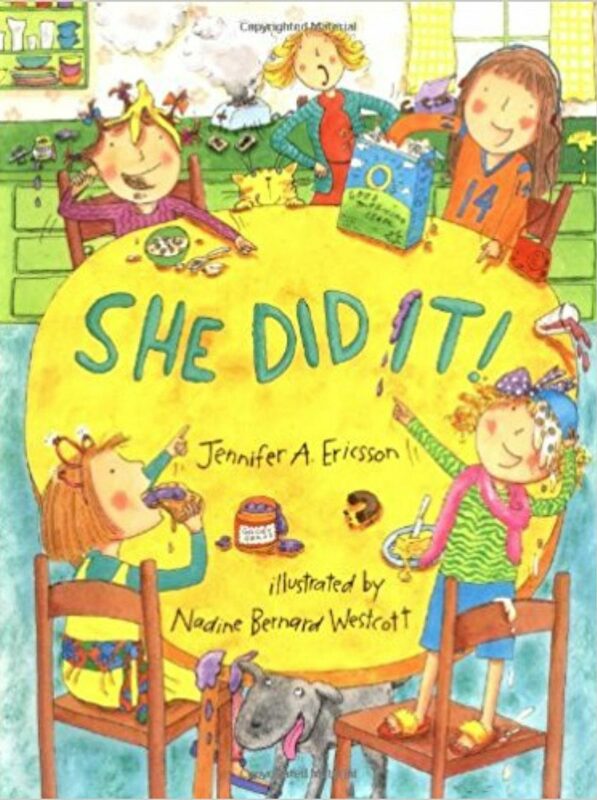 For example, in the first stanza of She Did It! by Jennifer Ericsson, the rhythm feels like a march that matches the energetic quality of the characters she’s writing about. 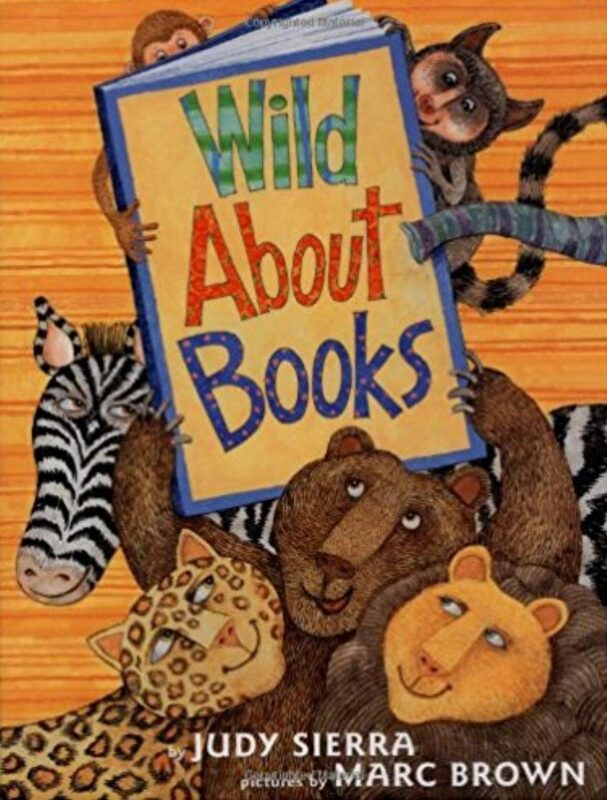 However, in Judy Sierra’s book Wild About Books, the rhythm of the text feels steady and lyrical as if the reader is chugging along with the librarian as she drives the bookmobile to the zoo. By mistake drove her bookmobile into the zoo. As the examples also demonstrated, the rhythm you choose should enhance the story you want to tell. In my picture book Cowpoke Clyde Rides the Range, I wrote lines with a rhythm that moseys along just like Cowpoke Clyde. at ridin’ something not so wild. It wouldn’t eat. It wouldn’t stray. It wouldn’t buck or bite or neigh! Smiled and wild? Stray and neigh? I hadn’t planned on writing that, but when I made those rhyming connections, the stanza fell neatly into place. Sometimes rhymes don’t work because good rhyming options simply don’t exist. When that happens, I have to take a step back and find a word with better rhyming choices. It can be a time consuming process, but with patience and a bit of serendipitous luck, I eventually fit the words together like pieces of a puzzle. The ultimate test for a rhyming manuscript is to read it aloud. Once you know the rhythm, you’ll hear if a line is missing a beat, if there are too many beats, or places where a reader stumbles. When you’ve written the text successfully, anyone should be able to read it without a blip or a hiccup. Rhyming can be a complicated business. But it’s a lot easier if you approach it with rhythm and rhyme in mind. When award-winning author, Lori Mortensen, is not letting her cat in, or out, or in–she’s tapping away at her computer, conjuring, coaxing, and prodding her latest stories to life. All that tapping has resulted in the publication of more than 70 books and over 350 stories and articles. 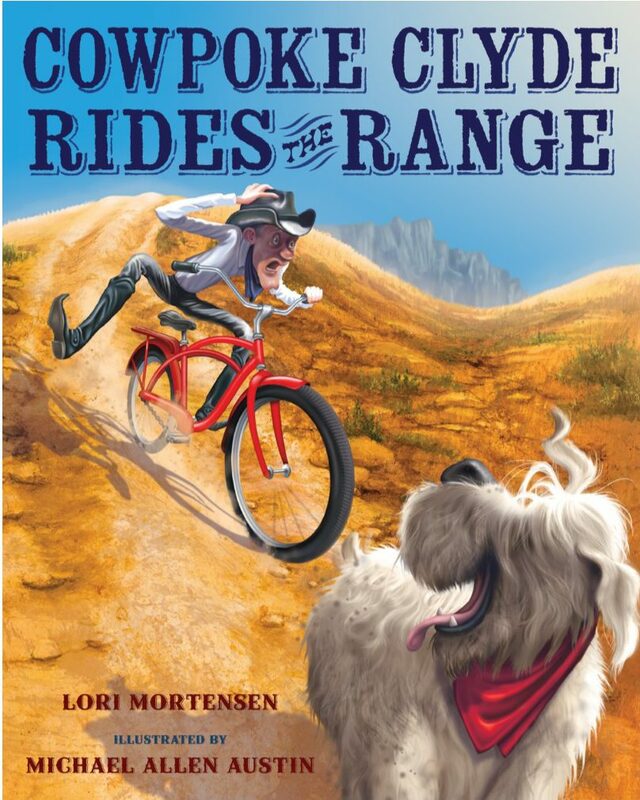 Recent releases include Chicken Lily (Henry Holt 2016), Mousequerade Ball (Bloomsbury, 2016) illustrated by New York Times bestselling illustrator Betsy Lewin, and Cowpoke Clyde Rides the Range (Clarion, 2016) a sequel to Cowpoke Clyde & Dirty Dawg, one of Amazon’s best picture books of 2013. Visit her website at http://www.lorimortensen.com for more information about teacher guides, book trailers, reviews, and more. Lori, I am thrilled to have discovered Cowpoke Clyde! Now, my niece and nephews have him in their book collection, as well. It is brilliant! I didn’t read everyone’s posts above so I hope I’m not being repetitive, but here’s my response to writing in rhyme. First of all, it just happens sometimes. As an English/L.A. major, I love words — their meanings, sounds, spellings and how they can play with each other. Rhyming enhances that. Writing in rhyme also requires a rich vocabulary because one word needs to be packed with meanings that add to the story. As an arts-based teacher, I love how the combinations of words create music, movement and other sounds. Writing in rhyme is tough! I can sit over a word or a line for ages, but when the missing piece slips into place, it is so rewarding. Rhyming in my children’s stories is like watching words run wildly around a playground, laughing and having loads of fun together. I was told that I should take the rhyme out because it limited my book sales and marketability because it is more difficult to translate a book that is written in rhyme. What the person didn’t realize is that rhyme IS the critical element to my story. It creates the cheekiness of the character, the playfulness of the plot and the movement and rhythm. 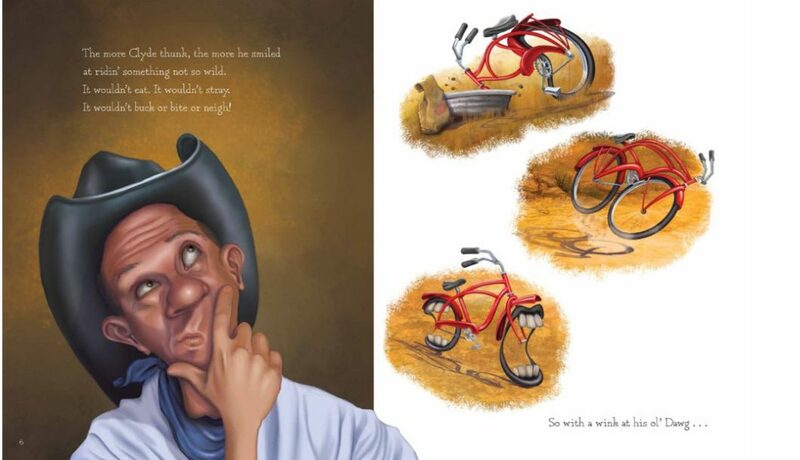 Rhyming sets the mood of the story so it is not only read or heard but FELT. I am so happy that this group recognizes the importance and joy of rhyme. Elspeth, thanks for your enthusiasm for Cowpoke Clyde and your thoughts on rhyme. I completely agree. There’s nothing like tinkering away on a story, then finally having the right rhymes fall into place. (Btw, if you have a moment, reviews of Cowpoke Clyde at Amazon, etc., are always appreciated.) Good luck with all of your rhyming projects. . I certainly will leave a review. I didn’t know about your books until I had wanted to sign up for the Rhyming Conference in IN. I read the reviews, looked up your website and bought both Clyde books. They are so, so great. I’d love to send you a copy of my book – just for fun! I don’t expect any reply but it would feel great to know that you had read it. I have more that I am trying to finish but I am not very good at finding time in the day. I am having surgery at the end of the month that will force me to stop driving and should give me oodles of down time. It would be an honor to send you my book. If this is possible, please send me your mailing address. I mean it when I say that it would be amazing to me to know that you had one on your shelf. Thanks!